Can I say that? 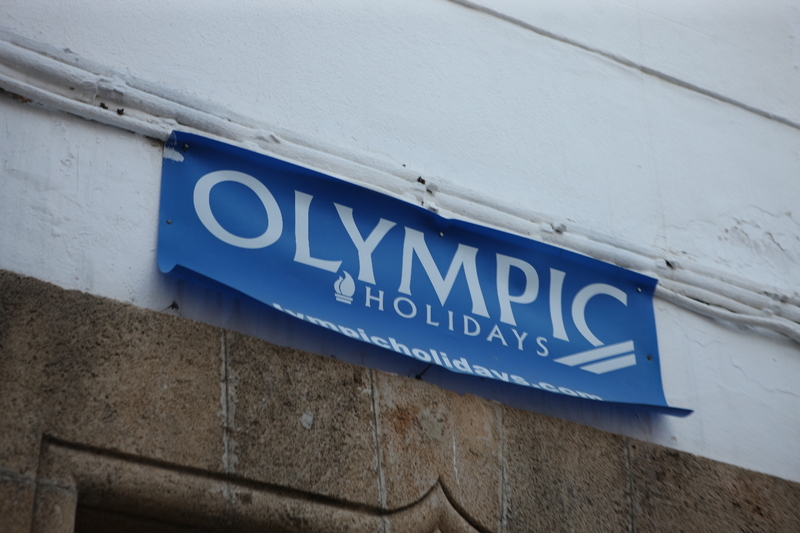 I hope so, as I am in Greece (so outside of the UK LOCOG special legislation on this I hope) and talking about the picture which is of a company called Olympic holidays. 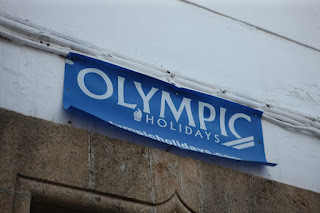 Actually I know nothing of them apart from that sign in Lindos that I passed yesterday. Anyway, looking at the usage levels (on the BT links, just to be clear) we have not had another brief spike like we did the other day, but it has been quite high during the afternoons. It is messing my "errored seconds" stats that we report as even one packet dropped in a second counts, but no, it is not bad at all. I would not be surprised to see another mad half hour at some point before it is all over, but overall it looks like we got things set up with the right levels, just. And, just for fun, I am testing DHL's abilities to deliver to a Greek island next day... We will see.